THE WRITING BUDDHA - Opinions | Books | Movies: Crutchman by Ashok Pal (Book Review- 3*/5) !!! 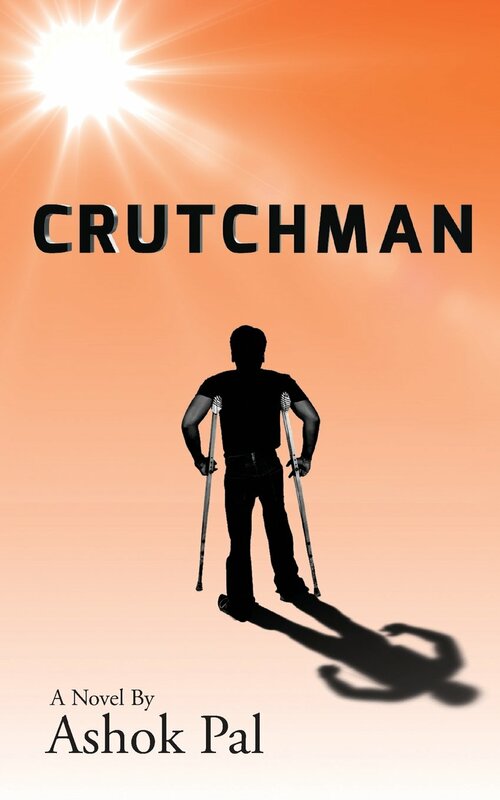 I am done reading "Crutchman", a novel of 209-pages in two sittings. It's written by the debutante- Ashok Pal, who got struck with polio and couldn't fulfill his dream of becoming a cricketer like Sachin Tendulkar. But still he is dreaming of winning gold medal at the Paralympic games for India. The author should be appreciated for setting an example by writing this book for all those who stop living their lives considering themselves disabled. The title of the book is quite attractive which will make readers to at least go through the synopsis. The man walking with crutches on the cover page also speaks a lot on what the book is based upon. It becomes obvious as to what the book would be consisting of but I'm glad that Ashok Pal have treated the whole story differently rather than continuously speaking about the protagonist who is disabled. Even when he have used it as basic in some chapters, it is dealt with so properly that you will appreciate the author for not gaining any kind of sympathy for his protagonist. He is not trying to make you cry but making you treat this character just like other two friend of his who are physically capable and strong. Ashok Pal's writing style is simple and it seems to be an inspiration taken from Chetan Bhagat's Five Point Someone. You will find the same kind of easy language, boys trying to impress girls, the chemistry between three friends and a story that is also trying to speak about the flaws in our system. The characterization of all the three friends are finely done. The chapters in which each of them speak themselves in first person makes it easy for readers to process with the story without getting bored. The best part of the book is that the story is kept short rather than dragging it to the core even when it consisted many sub-plots. Coming to the drawbacks, you wish if love angles could have been written much better. It seemed as if author inserted them just for the sake of adding little spice in the book disinterestedly because of someone's insistence. Also, I felt that the book was unable to make me smile, cry, jump with its character. The language used is too simple except in few initial chapters when the characters are off to start a business. That very first scene when they earn money at Marine Drive does magic which you miss in rest of the book except in one more scene when they start making profit as brokers. Except these two scenes, other scenes were just plainly written. Except this, author have passed in letting his message reach people. I give this book 3 stars out of 5.